From time to time during the year a handful of ever increasing UK 'Gyronuts' have a bit of a get together. I thought it would make good sense to create a thread where this information can be added for anyone else to attend if they so wish as they come about. 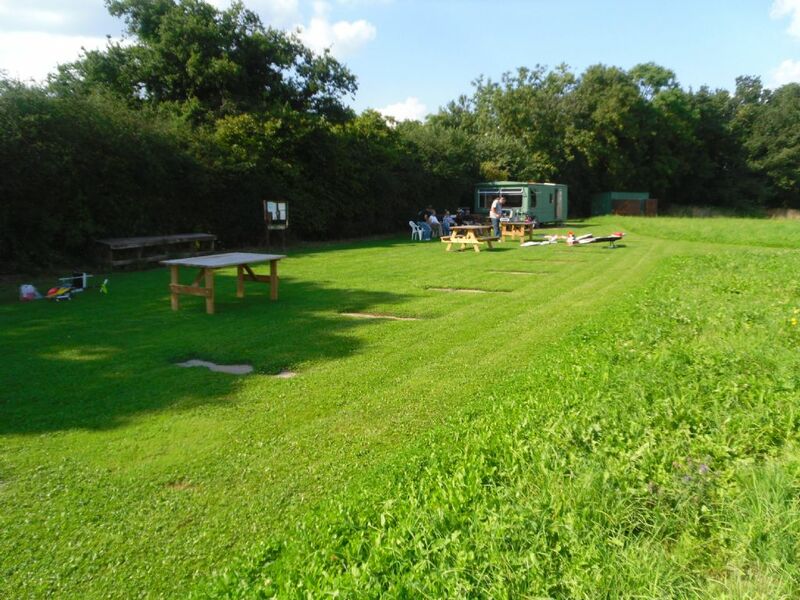 The latest get together was held in Leicestershire last Sunday at a very nice club. A good time was had by all. I spoke to the chap with the big tank, 3 grand it cost him!!! Cheers Rich - great video. I have just ordered the plan for FireFly II and am currently trying to drink in as much as I can about these 'planes before I start my build. Not too happy about the balsa bashing for the blades but hopefully it will be easier than it looks? I am experienced in electric plus slope (read cliff!) soaring but regard this as a venture into the unknown. Here in France I have not seen or heard of model autogyros so when I turn up at the field - hopefully it will be a bit of a surprise for the my French mates! Oh and I loved the tank by the way. Some first timers can be a bit concerned about their first autogro flights,so the meet up's are just the job to get some help and expert advice. I have had an email off a Gent called Martin today , he is organising an Autogyro Fly-In down South for Sunday the 7th July. I will try and get him to post more info here if people are interested? 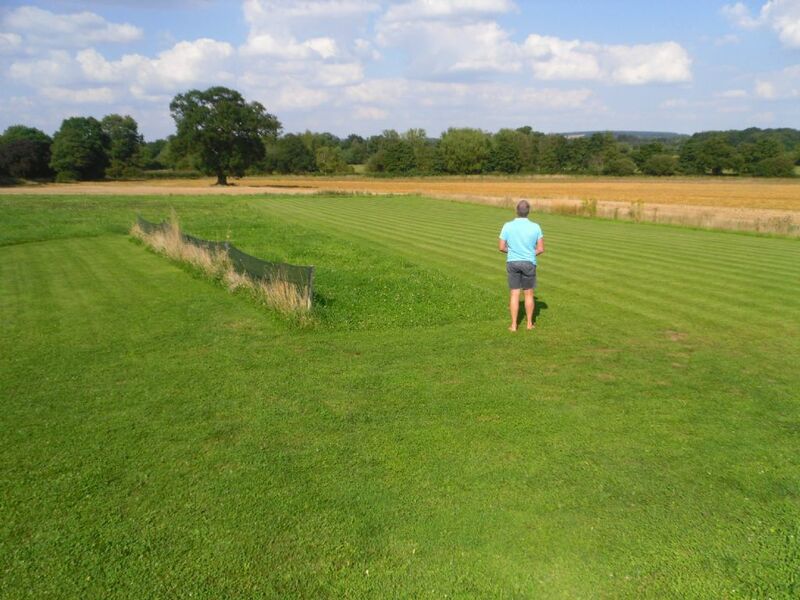 His club field is Reading way. I should be ok for that......come on the rest of you, lets hear from you , these are great days out!! 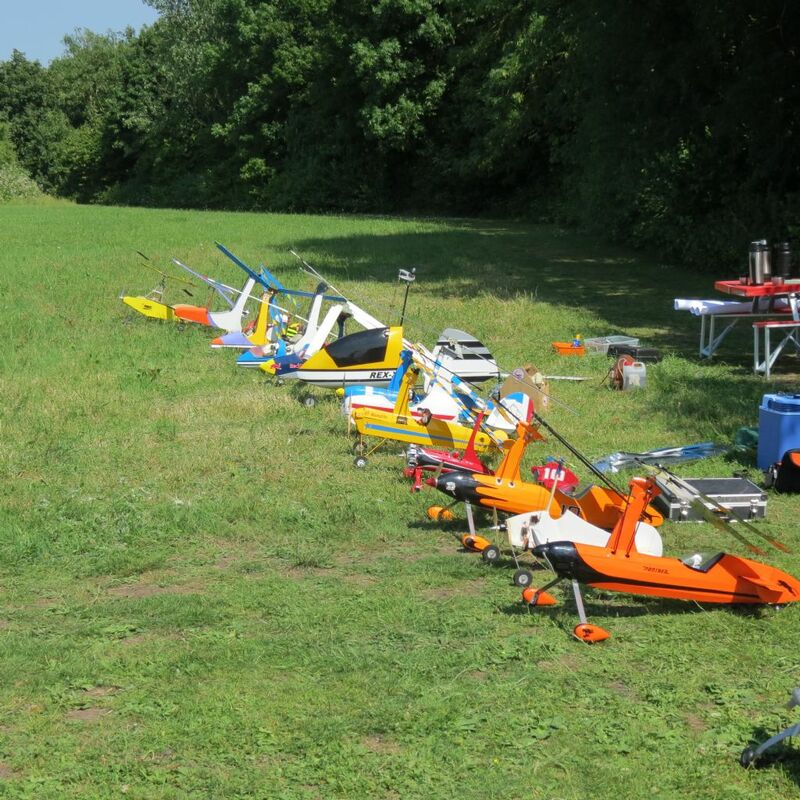 I Live in the south (Dorset) and would be interested in going to this meeting, having recently completing my Dag R2 and successfully test flown it as well as my Spyro 3 it would be good to meet up with fellow gyronuts. I don't often come this way. Rich is right Reading DMAC are holding an autogyro flyin on 7 July. Reallya imed at autogyroists in the south, that is south of Richs home. Details on Southern area BMFA website and www.RDMAC.org.uk/. Hope to see you there. 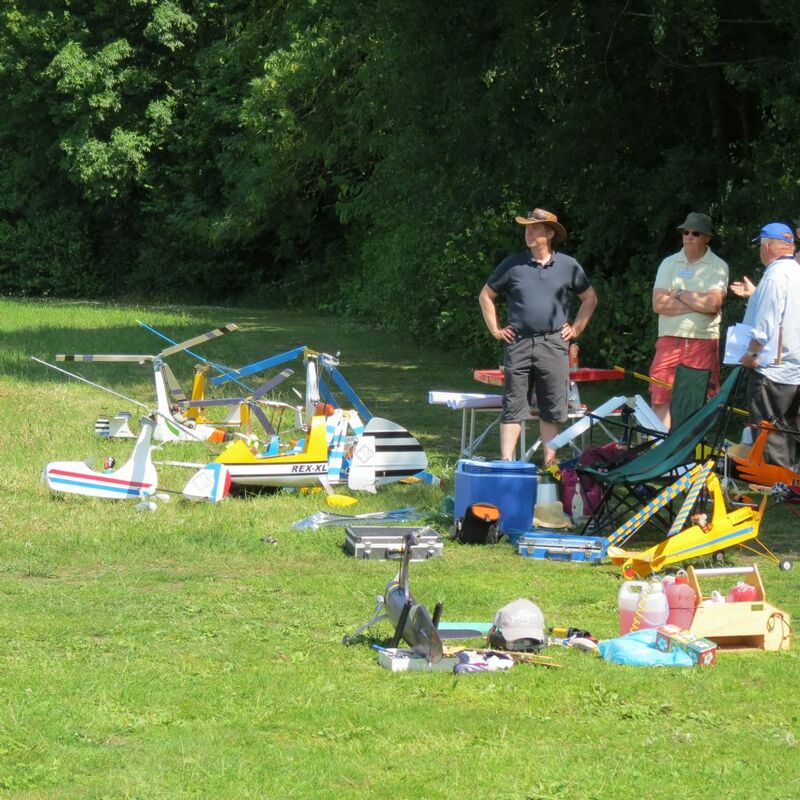 Excellent days flying at Thames Valley Park in Reading with not a bad turn out, a few photos that I took. Roll on 2 weeks time for our 'Big Un'. We certainly enjoyed the day, its always nice to put faces to names and aliases and to enjoy a shared interest. The only slight fly in the ointment was the grumpy jogger who thought he had more right to be there than us. I wouldn't dare repeat Ash's (one of members) put down but it was related to sun tans! By the way we've been using that site for 40 years so maybe we have some rights. It was nice to have a Hobbit visit its ancestral home.We'll certainly do it again next year, but hopefully on a new site its a bit disconcerting when families wander across the strip and a 3D helicopter is used as a dog exercising machine! New date for your diaries , Sunday 15th September for an Autogyro flyin at our club field- Heart of England Aero Modellers. 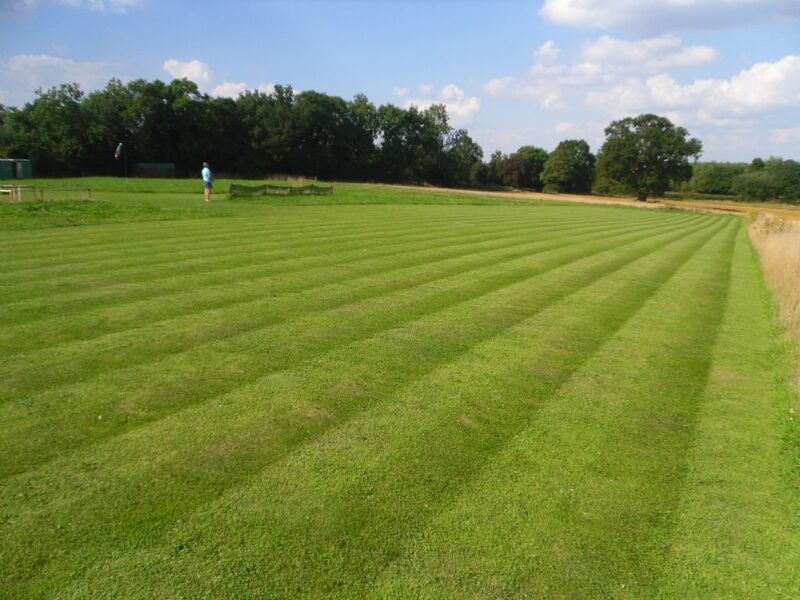 We are located near Hampton in Arden, just outside Solihull in the West Midlands. I had a cracking time at the Winterton Knees-Up so barring disaster i'll pop along. I am looking forward to another flyin, thanks. It's confirmed, Heart of England Aeromodellers invited all auto gyronuts to out first Fun flyin on Sunday 15th September. 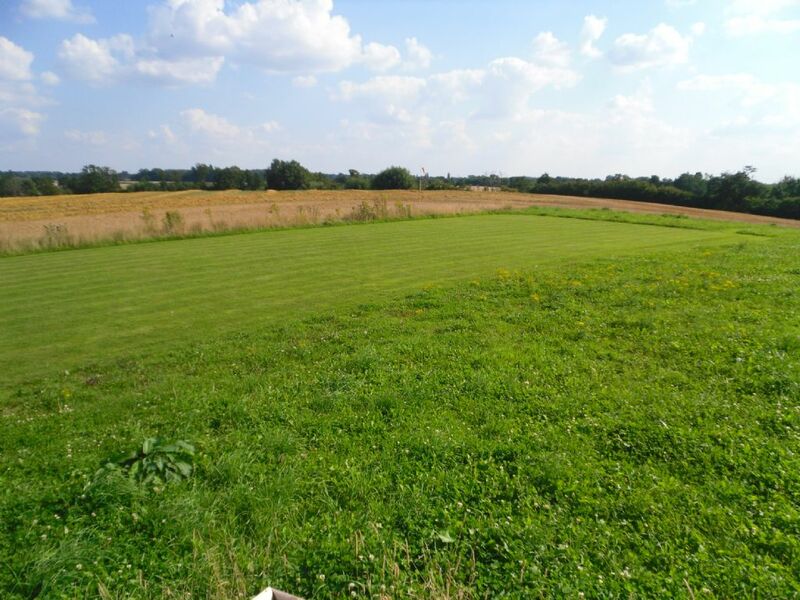 Site near Hampton in Arden at Postcode B92 0LT. Format for the day will be informal fly off the peg, without transmitter control if your 2.4. If your 35Mz then we operate a peg board system - peg on to fly. Pilot's briefing and welcome at 10.00am with flying from 10.30 until 6.00pm if you want. Club members will also be flying but we will encourage visiting autogyro's to take priority whenever possible. Hopefully some hot food will be on hand, free at lunchtime and some small refreshments for our guests. Here are some pics of the site to wet the interest and hopefully a great day and weather to come.